Austin, MN; no, the "Liquors" part of the sign is not out. 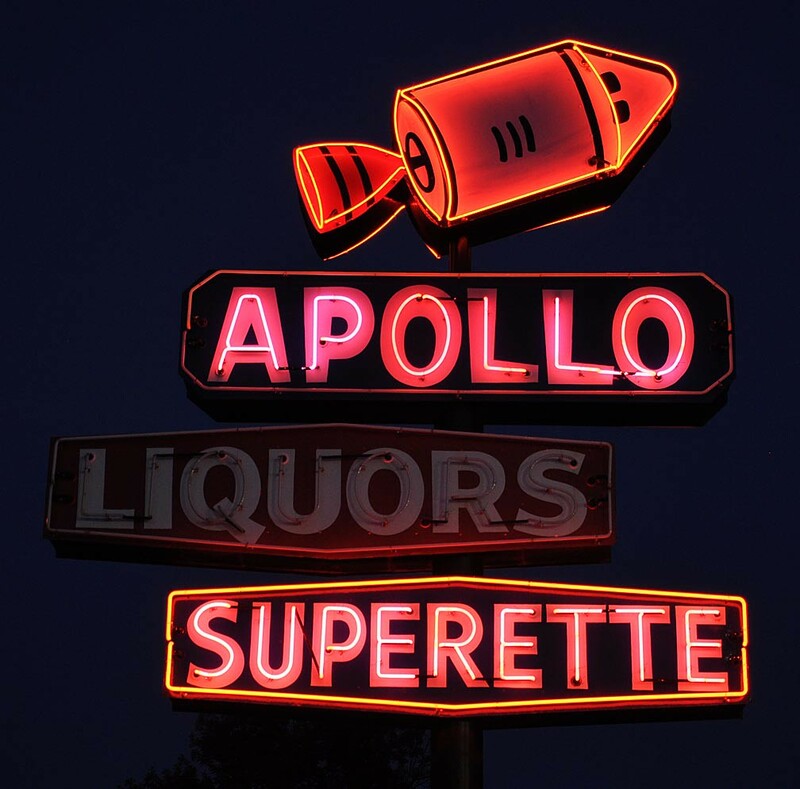 The lighting of the sign alternates between "Liquors" and "Superette". And strangely enough, having lived in/around Austin, MN for 20 years, I never once entered the liquor store side of Apollo.